Description: This detail of a map of Florida covers Hernando County and vicinity and indicates drainage, cities and towns, township and county boundaries, railroads, and the 15-mile railroad land grant limits surrounding the track. The major water features of the detail include the Withlacoochee River and the Crystal River. 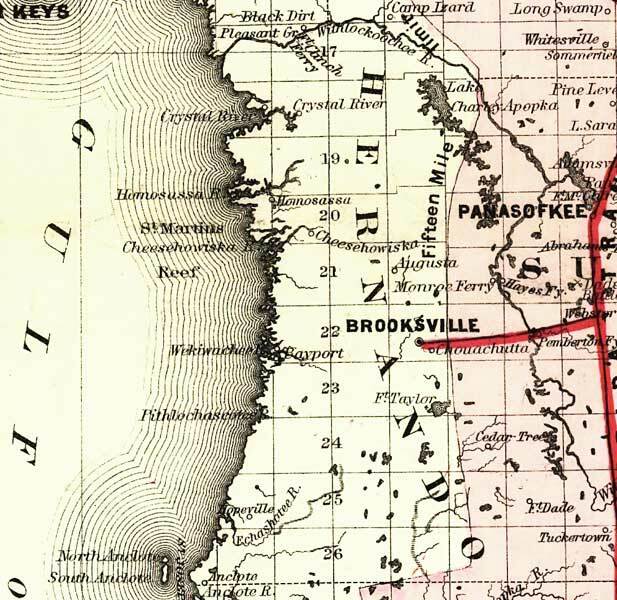 Some of the townships listed are Brooksville and Homosassa.